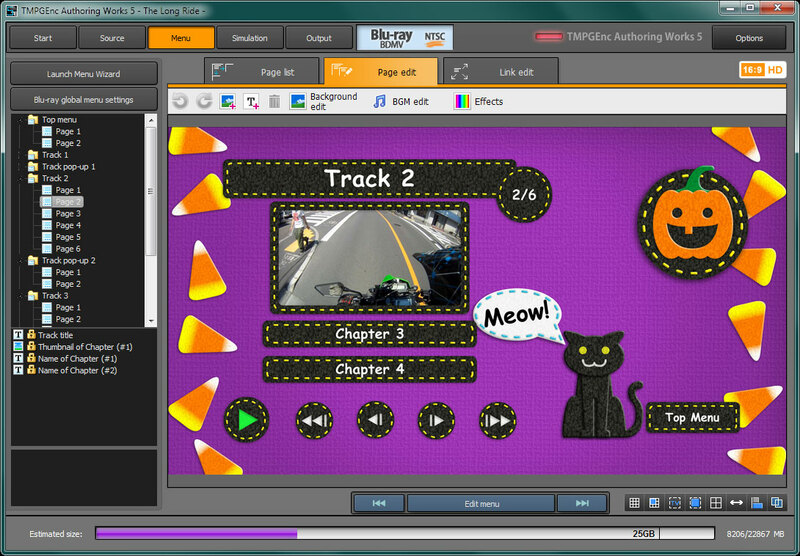 TMPGEnc Authoring Works 4 is the easy way to author your own DVDs, Blu-ray Discs, and DivX® ULTRA video. Input MPEG-1/2, AVI, WMV, QuickTime, DivX, MPEG-4/H.264, AVCHD, DV/HDV, DVD-VR, DVR-MS video files and author to DVD-Video, Blu-ray (BDMV), and DivX Ultra formats. 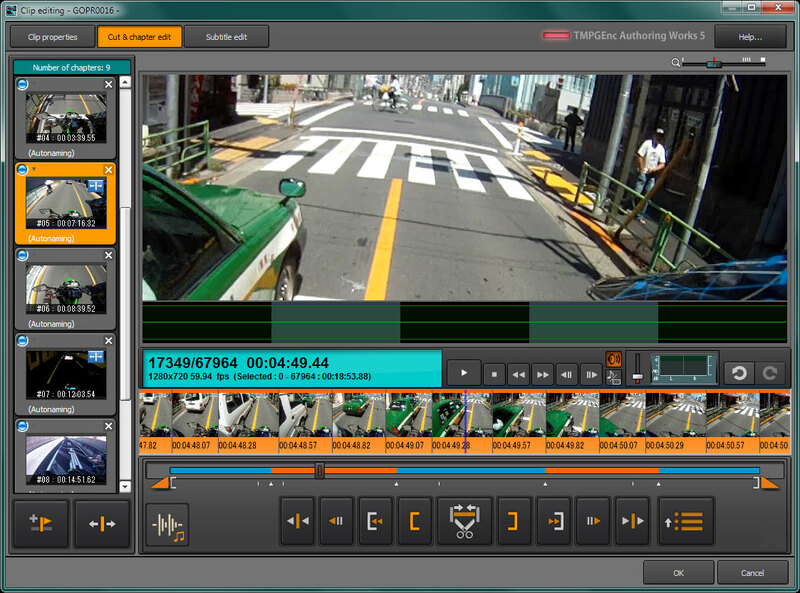 Camcorder AVCHD/HDV/DV video input support. Creates high quality DivX video. Edit out unwanted scenes or commercials. Create interactive menus from templates or make your own custom menus. Make your own slideshow DVDs and Blu-ray Discs in standard or high definition. Apply audio filters such as gap correction, noise reduction, and fade-in/out. 5.1 Dolby Digital Surround sound input/output. Corrections Fixed: Intel Media SDK functions did not work correctly in some environments where Intel Graphics Driver for Windows 10 ver.25.20.100.6444 was installed. Fixed: The value of free space of the inserted media did not display correctly in the Disc Writing Tool. Fixed: Could not change uppercase letters, lowercase letters mutually of the same alphabet when changing a name for a track or a chapter. Fixed: Could not import an MP4 container which has a default-base-is-moof flag. Fixed: Could not import certain QuickTime MOV files. Fixed: Some specific player devices could not display a menu when the Delay Duration for Highlight option was set in a project. Fixed: Occasionally an invalid handle error occurred while outputting a Blu-ray project. Fixed: When using a certain device to record SD DVD Video, the resolution was recognized as 352 x 240. Fixed: Invalid audio errors displayed for the verify check in the Simulation/Output stage when using a project which was saved in TMPGEnc Authoring Works 5. Fixed: A European font could not be applied as the ATSC Closed Caption subtitles font.